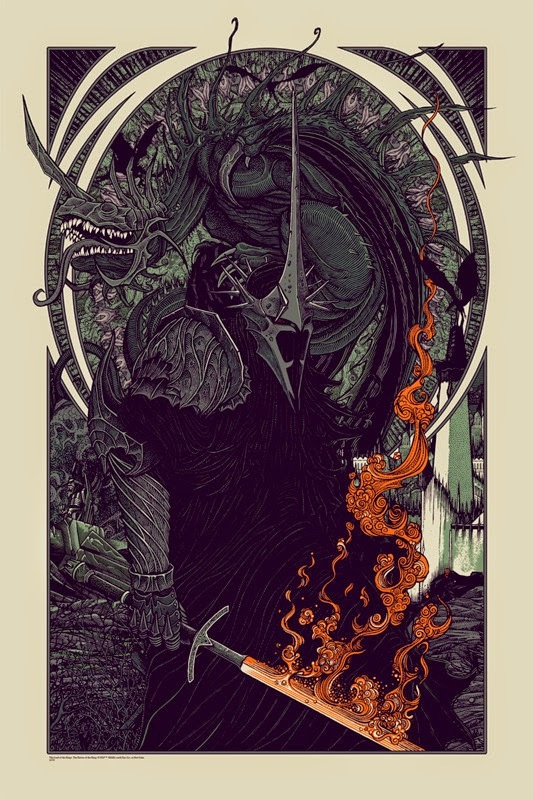 We take a look at artist Florian Bertmer's awesome take on Lord of the Ring with Witch King and Fell Beast. 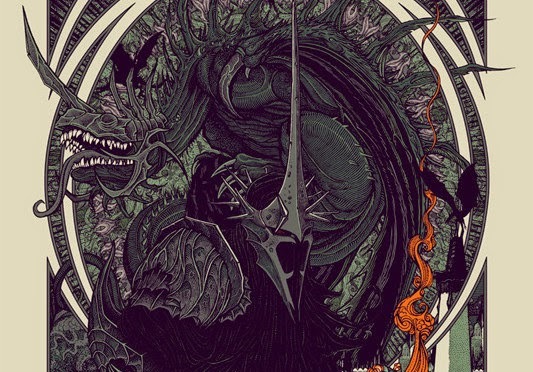 In Witch King and Fell Beast, artist Florian Bertmer took on Lord of the Ring with his rendition of Witch King and Fell Beast, depicting the dragon-like creatures rode by thee Witch-king of Angmar. 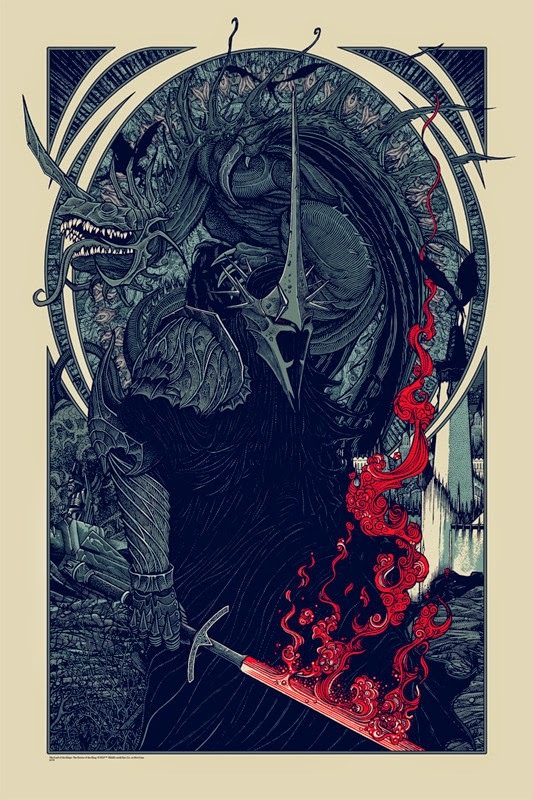 Hit the jump to check out the two versions of the cool print, courtesy of Mondo, the collectible art division of Alamo Drafthouse Cinema.